The opening cinematic of Far Cry 3 is a definitely a wow moment for 2012 and it's almost like you are watching a Hollywood blockbuster movie. 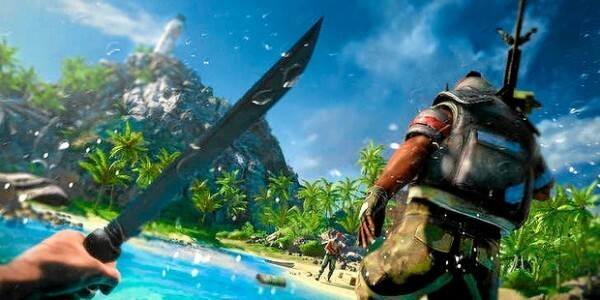 The opening premise behind Far Cry 3 is that you (Jason Brody), your brothers and a group of friends have gone on a tropical holiday in the South Pacific and the introduction of the game shows you partying, sky diving and basically have the time of your life. Unfortunately this ends quite abruptly as the developers tricked you into thinking that you were watching a movie but rather, it was a recording on your Smartphone. The problem is that you have been kidnapped by a gang of ruthless pirates and the only way you'll ever get home is if your family will pay the ransom. Things do start to look up when you discover that your brother was in the military and together, you escape their encampment only to find hell in paradise. 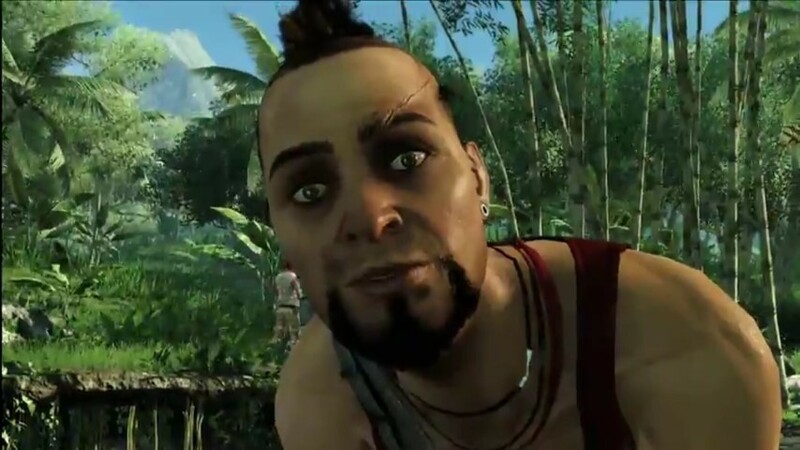 Another interesting element of the Far Cry 3 story is that the villain Vaas is probably the most realistic and hideously evil antagonist that has ever graced a game. He's more than just badass! Needless to say the beautiful idyllic beaches of the South Pacific are definitely rotten to the core in Far Cry 3 and your holiday has turned into a nightmare. Without spoiling the story, early on in the game you part company with your brother and after a desperate chase through the jungles, you are found by a local called Dennis. Dennis becomes your Yoda as he teaches you how to walk the path of the Warrior and how you can rescue your family and friends through calling upon ancient hunting powers. However apart from you rescuing your family, you soon realise that you are caught in a war between a local tribe called the Raykat and the pirates. Obviously you choose the side of the tribe to get your bloody revenge. 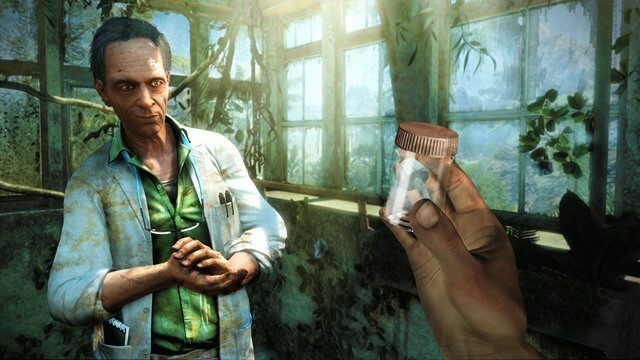 Another interesting element of the game is that you can craft medical, hunting and combat bonuses through collecting plants and mixing them together via syringes. 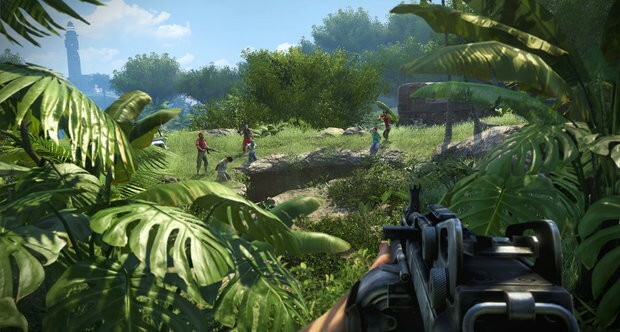 The main mission objective in this first-person shooter is of course to find your family and friends again, however Far Cry 3 is an enormous open-world game and there's plenty of side quests and missions to embark on. The thing with Far Cry 3 is that by engaging in the side quests, it assists in boosting your abilities and increases the amount of weaponry available for Brody. Even some of the mundane missions like hunting boars or taking out one of the pirates who has insulted a local tribe is a joy because of the realism involved in the game. I remember my first hunt in Far Cry 3 seemed quite innocent as I had to kill 2 boars and collect a handful of plants. Killing the boars with my knife and skinning them for accessories was an easy task, however when I entered the water to collect a plant, I was given the most scariest fright since Half Life. As I dived into the peaceful river and collected the plant, I was suddenly attacked by a crocodile which scared the living daylights out of me. The realism here was unparalleled in any game I've played in 2012. It was at this moment that Far Cry 3 had me hook, line and sinker. However, crocodiles are the least of worries, especially when it comes to sharks and tigers. When you do kill an animal, you can make items from their body such as bags to hold or more items or you can sell their "parts" for money. There's plenty to find in Far Cry, although some of the items are quite strange like recipes for cocaine or other odd assortments like dog tags that fortunately can be sold for a dollar or two. However when you loot your enemies or chests, it's diamonds or cash that you really want. As Dennis and his tribal colleagues teach you more about your powers, missions become quite diverse in the game as you attempt to enbale radio towers in the game, reclaim enemy bases for your faction and of course, engage in the pirates from skirmishes to full out warfare. Given that, exploring Far Cry 3 is a treat and the level design is amazing. As you explore the island, you'll discover ancient ruins and some amazing sights that almost makes it appear that you are part of some grass roots travel documentary... except you've got snakes... pirates and other nasties. 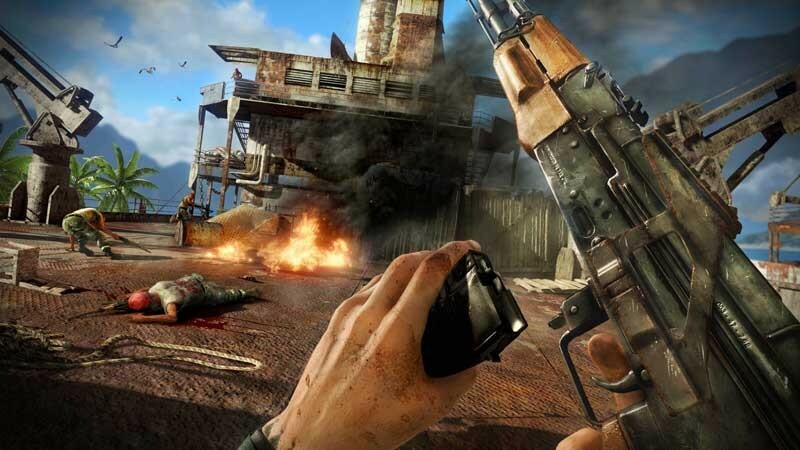 Far Cry 3 is also not your regular Joe Blow first person shooter and if you approach the game like an action hero on steroids, things can easily take a turn for the worse. Stealth and hunting is the key to the game as you transform yourself into the ultimate predator as you sneak into encampments and complete a variety of medium to difficult objectives. This is where Far Cry excels with the amount of freedom given to the player and whether you want to complete a mission from the notice boards or from an NPC or if you just want to explore, this first person shooter truly gives you one of the best open-world experiences. 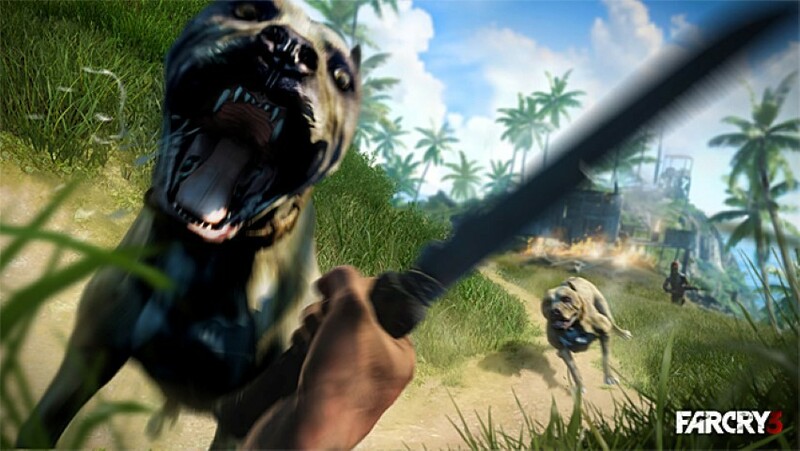 Combat is another highlight of Far Cry 3 and can be performed in a variety ways. Whether you are using traditional weapons such as sniper rifles or shotguns, Far Cry gives the user a variety of tools and weapons to do the job. For a first person shooter, it's amazing at how much I used the knife to take down my enemies and there's also some great cinematics with your takedowns. As mentioned earlier, Brody relies on the training of the natives to assist with him in becoming a warrior. By completing missions and objectives, Brody is awarded XP that allows him to unlock a variety of new abilities which in turn tattoos him with special abilities. For example by training deep breath, this allows you to stay underwater longer or death from above takedowns allows you to perform a deadly finishing manoeuvre from the skies (e.g. zip lines). It's quite a cool catch. And then you have the action parts from zip lines, wing suits and driving lots and lots of vehicles! Far Cry also boasts a great standalone co-op mode that allows four players to search for a nefarious cruise ship captain who sold them and their passengers to pirates for a large sum of money. These 6-playable levels can even be played via split-screen which works like a treat on a 50" plasma. The great thing about the co-op mode is that it's another unique story of the Far Cry universe. Then you have your "traditional" multiplayer modes that allows you to fine tune your Far Cry skills with unlockables and some what of a levelling system. 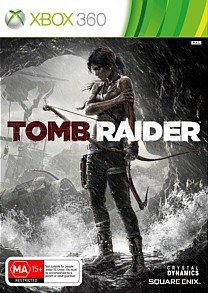 Although not as refined as the single-player game, it's still a fun experience where you can spend a great deal of time. 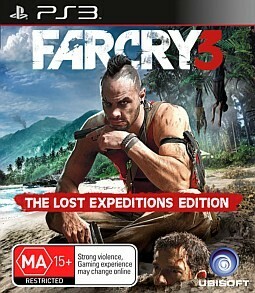 Graphically, Far Cry 3 is visual treat on the PS3 with some amazing level design that really mimics the South Pacific. To compliment the great backgrounds, especially the water effects are the characters themselves that are highly detailed and almost look real. Lighting is also a visual treat. The only downside to the game is that at times, the frame rates does suffer for this visual eye candy. The voice acting of the game is quite professional and they really get into the headspace of the characters that the actors play. Brody is a real mess at the start of the game before he turns into a true hero. Sound effects boom through surround sound and the musical score and background ambience creates one of the best experiences of 2012. So here we are again with another instalment from the Far Cry universe that definitely goes beyond the previous games. With a relatable protagonist, a story that truly draws you in from the very first moments of the game, Far Cry 3 also contains a very sturdy game engine that almost makes it the perfect game. It just flows so well from the first to the last level... and the vehicles are just awesome. 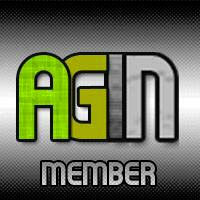 What a way to end 2012!